You have the opportunity to work on your mosaic throughout the week whenever the studio is open. 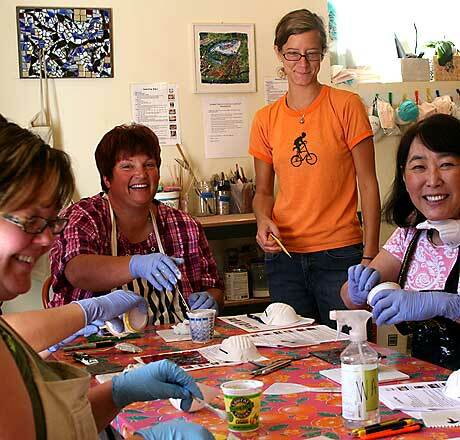 During the second session you’ll learn all about transferring and cementing and will then cement your mosaic. Get 50% discount on first month of membership when you join on the day of the second class.